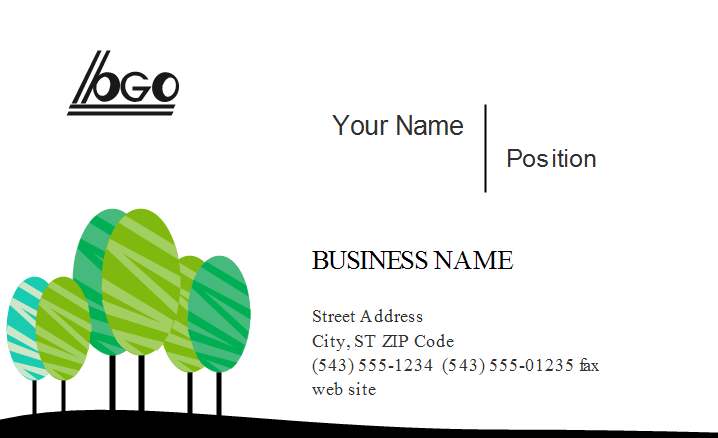 You can download this eco friendly business card template to make awesome and wonderful business cards with a group of trees as background. Thanks to the pastel colors and to a wavy, clean and steamlined drawing, this business card template is so refreshing. It can be used for general purposes. However, due to the green trees and the eco friendly theme, it can better fit biological business, landscaping, environmental protecting, etc. 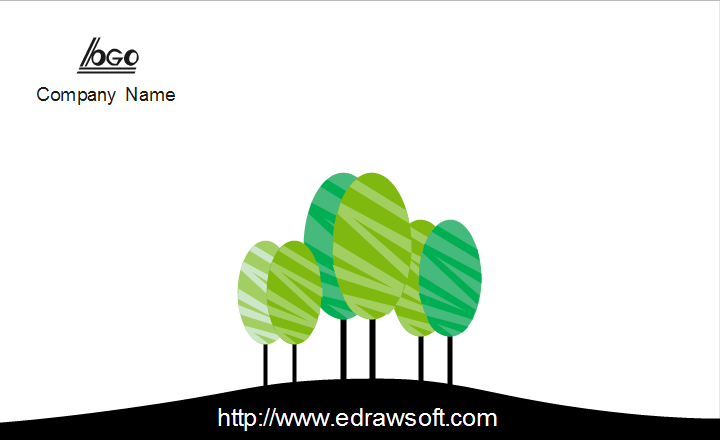 Discover why Edraw is an excellent program to create eco friendly business card. Try Card Maker FREE.